Problems with visual acuity are a common problem for children, with 1 in every 20 pre-schoolers now wearing glasses. 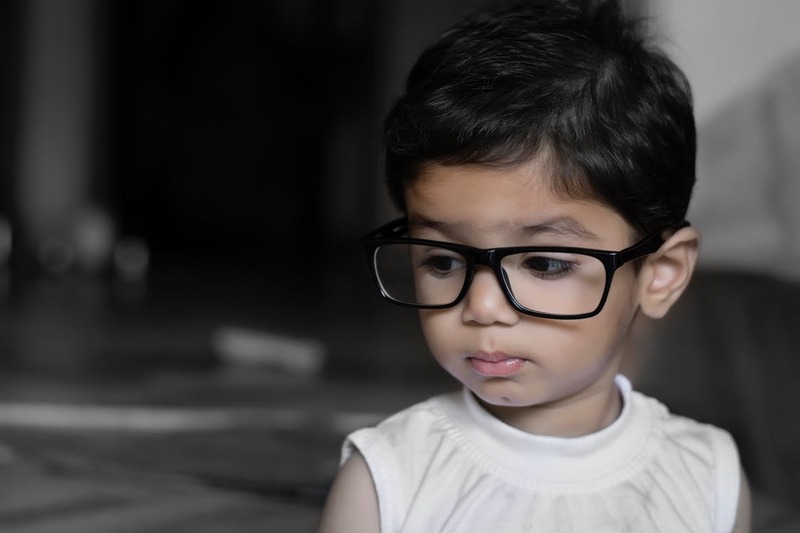 For many parents however, choosing the right pair of glasses for your children isn’t easy – what style should you go for? What colour? How much should you spend? How do you ensure they fit comfortably? Although you might be tempted to go for plastic frames (as they’re often cheaper and come in bright, fun colours), metal frames are easier to adjust to ensure a good fit. They’re also less likely to break during boisterous play-times, as they can bend and flex without snapping. The bridge is a crucial element to the glasses fitting well and performing the way they should. If they’re too tight they will not only pinch, but won’t sit close enough to their eyes, making them ineffective. Similarly, if they’re too wide, the frames will slip and slide off easily. Children tend to play a lot, and dropping or sitting on their glasses is almost an inevitability. To stop you forking out regularly, go for frames with a strong level of impact resistance, such as flexible metal frames and strong polycarbonate lenses. Choose a frame that’s flattering! You obviously want your child to look good, so spend some time looking at a variety of different frames, shapes and colours until you find a pair that look flattering on them (and they like). Do a little bit of research on face shapes and frames that suit each one, and as a general rule you want to look at smaller frames, as oversized options can look odd on a small child.